When it’s a talk about Hari Raya, I almost forgot what is the feel and the excitement of celebrating Hari Raya. i used to be so excited when it comes to Hari Raya celebration especially when I celebrate it with my family in Singapore. Since my mother is a Singaporean, her family and all her extended families are Singaporeans, I spent most of my Hari Raya celebrations in Singapore. Day by day, I have started to forget the excitement of Hari Raya celebration because I’m always busy with my studies and work nowadays. I still remember few years back when I don’t even bother to go back hometown due to my tight schedule. Nowadays my schedules are getting even more pack till I don’t even have time to sleep on time and I am being restless for the past few months because of my new office renovation works and my continues photo shooting sessions every week. 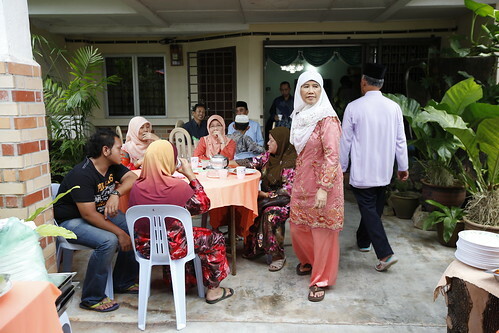 When I get this chance to write my feelings about Hari Raya celebration with my family I just remembered that it has been a very long time that I never give my time for my family and my loved ones. Now i realised that I am old enough and I keep reminding myself that I really need to balance between my working life and my personal life. Here’s how Samsung can help to enhance my Raya 2013 moments: I’m a photographer and a chef. I need an air conditioner to give a cooling environment at my studio and also a fridge to stock up my foods. I wish I can own a Samsung fridge and air conditioner to put in my studio. Since I have just bought a Samsung smart LED TV 40”, I really hope the fridge and the air conditioner will make my studio perfectly equipped. I would ask nothing more than a fridge and an air conditioner so that I can match it with my Samsung Smart LED TV because I’m a Samsung fan. Bunkface Bunk Not Dead Tour 2013 – CVS Production will be touring with them!